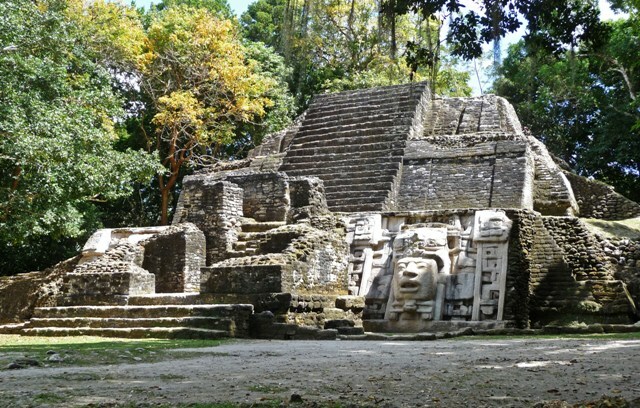 Having recovered control of our boat from a pirate spider monkey, we arrived safely at our destination: the Mayan ruins of Lamanai near Orange Walk, Belize. Once a considerably sized city, most of this site remains unexcavated. 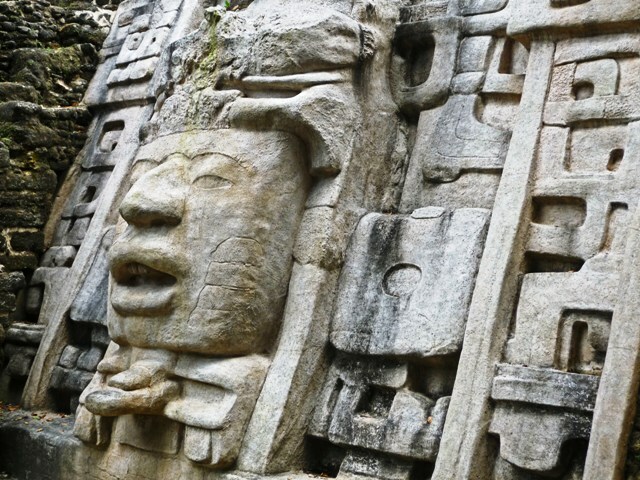 But some of what has been unearthed is truly stunning: like these carvings on Mask Temple that somehow survived through the centuries. Cool Photos – Have a Great Weekend! This must be a cool place to visit. Sorry, the photos reminded me of Olmec from Nickelodeon’s Legends of the Hidden Temple game show. Anyway, great photos! Belize is definitely hitting my list of places to journey eventually! This is always a great adventure! The boat ride is the best! Brings back memories of our trip to Belize, which included Lamani. But we didn’t get a monkey on our boat….. Interesting blog, and life!